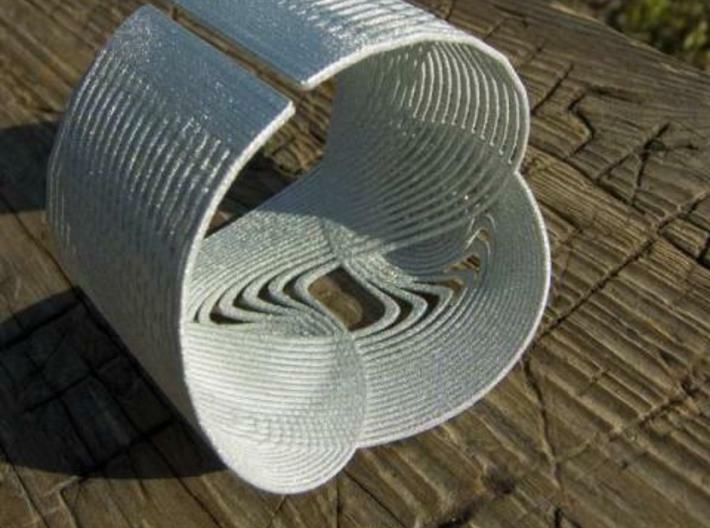 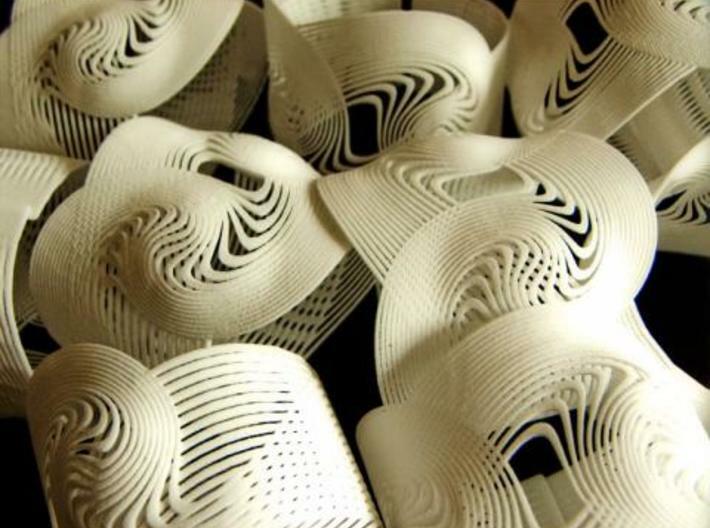 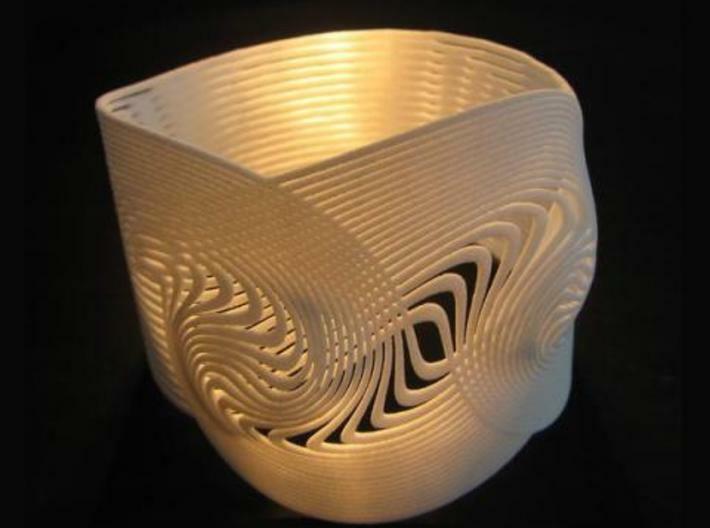 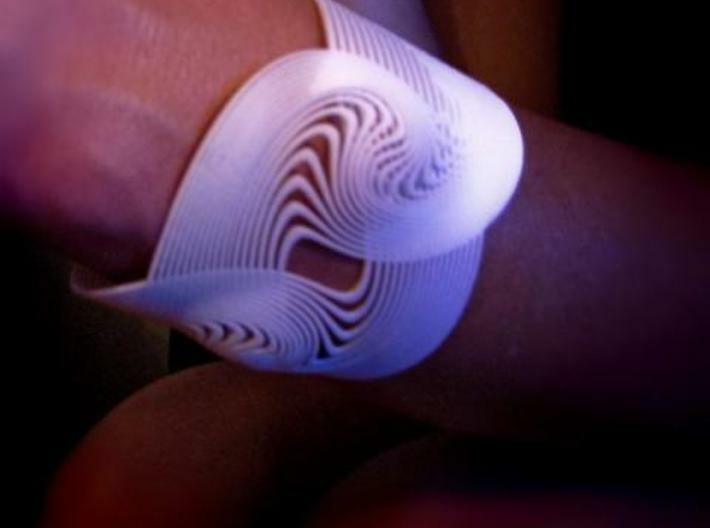 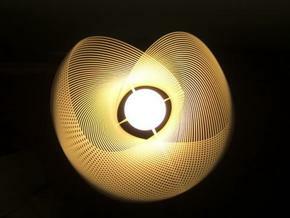 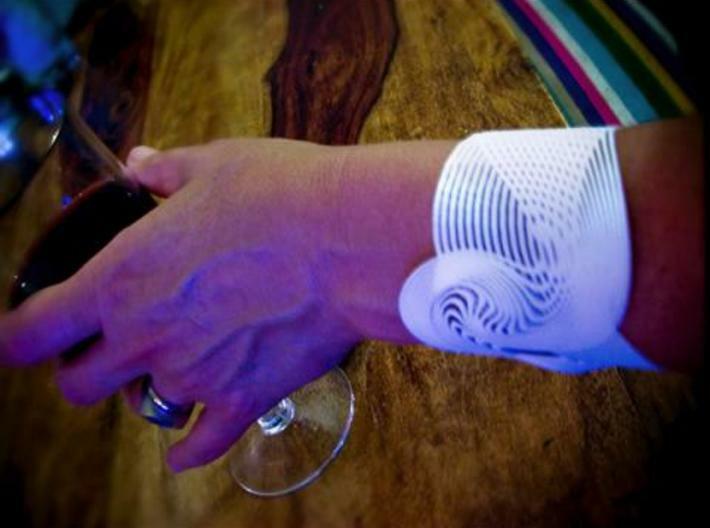 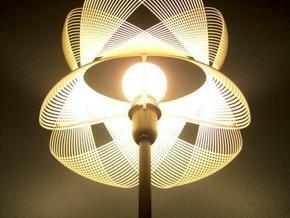 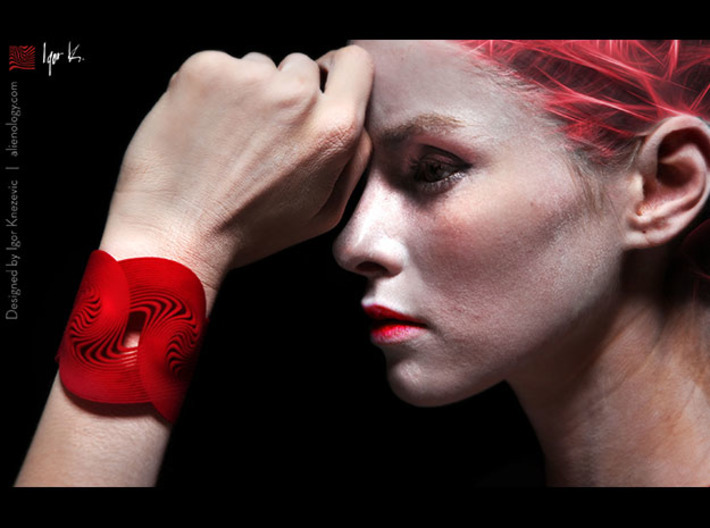 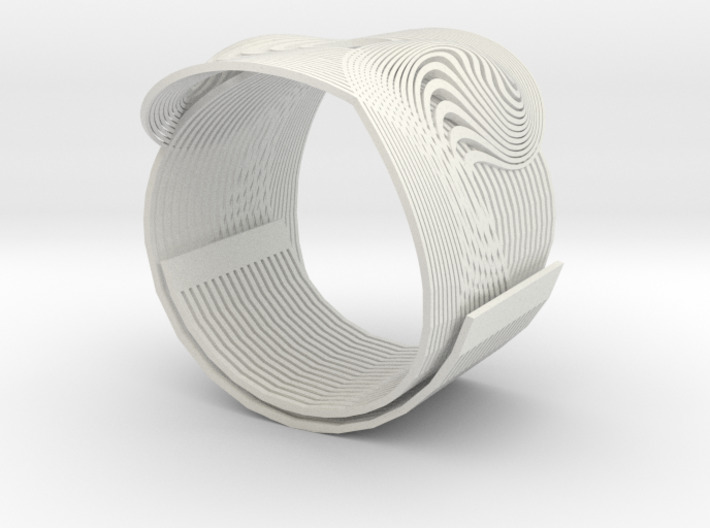 Designed by using particle systems in 3D CAD software this bracelet is now available in its final form. 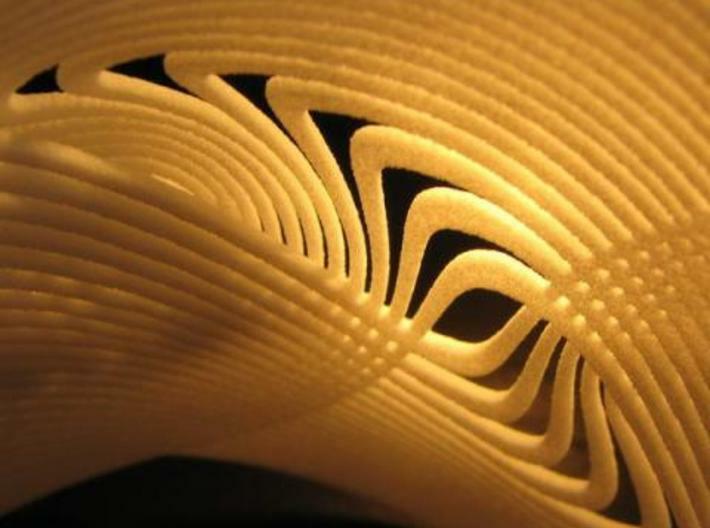 Threads visible here are about 1mm thick. 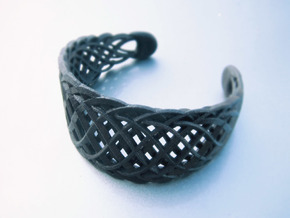 This version of bracelet is in cuff form, designed to flex into various sizes and to fit and wrap around your wrist.